For over 55 years, The Physicians Benevolent Fund has helped medical family members in need. The late May Owen, MD, a Fort Worth pathologist and past TMA president, established the fund in 1961 with a $2,500 donation to assist destitute doctors and their families. The Physicians Benevolent Fund offers financial assistance through the newly established PBF Wellness Fund - previously the Physician Health and Rehabilitation Assistance Fund. PBF Wellness Fund provides financial assistance to licensed Texas physicians who cannot afford treatment for depression, Substance Use Disorders, or other problems. Assistance may also be available for household expenses while the physician is receiving treatment. 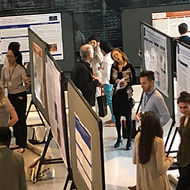 In case you missed it, the 2019 PHW Exchange was held at Baylor College of Medicine in Houston. Activities included a Think Tank Luncheon/Discussion, Poster Session, and CME program. 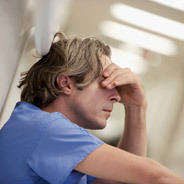 Got Physician Assistance questions? Call or email the Knowledge Center.